But I think he’s only half right. Australia becoming a republic is about dumping the monarchy — and about writing a new page in our own nation’s history. You see, the Windsor monarchy in Australia is not just “the royal family”. The Windsor monarchy in Australia is a national institution. And, as a national institution, it is deeply flawed. We should become a republic because of the benefits a republic would bring to our nation: because it would create a new, national institution, which could give our public life more of the dignity and decency we so desperately need, a presidency above politics to speak for us all and listen to us all. We should also become a republic because of the costs the monarchy imposes on our nation. I don’t mean the costs of flying a foreign prince and his wife around Australia for rest days on private farms, or flying the same prince to Vanuatu on a delegation to discuss climate change. Those costs are far from trivial, but the monarchy costs us much more. The monarchy is an institution which demonstrates that in Australia, what matters ultimately is the privilege you inherit, not the work you do yourself. Every meritocratic instinct we have and ever egalitarian dream we share is put to the test and found wanting when we allow our head of state to be chosen by laws of succession that rely on heredity. More than 2 billion people are expected to tune in to watch Prince Harry marry Meghan Markle at St George's Chapel. Kensington Palace has asked for Meghan Markle's father to be given "respect and understanding" amid reports he has pulled out of attending his daughter's wedding to Prince Harry. Thomas Markle told entertainment website TMZ he made the choice to not attend the Royal wedding after he staged a series of photos of himself for the event with a well-known paparazzo. Mr Markle reportedly said he had a reason to make the deal with the photo agency and that it was not primarily about money, but he now deeply regrets the decision and did not want to embarrass his daughter or the Royal family further. Markle is being attacked because she doesn't "fit the bill" as a royal. She was born in America, has an African American father and a Caucasian mother. She was married before, dated men before, doesn't have the British stiff upper lip and didn't originate from a wealthy background (there's no blue blood). In 2018, we are supposed to find it shocking that women are in charge of their relationships, sexuality and their money. Markle is guilty of those "crimes". 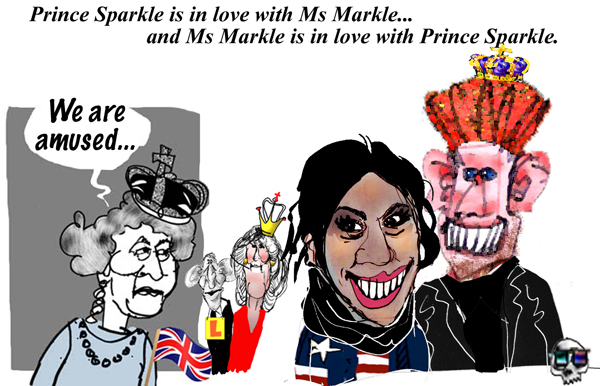 As far as I, Gus Leonisky of Australia, is concerned I don't care should Markle be a gold digger or not. Good luck to her as long as she enjoys life and makes Harry Happy and vice versa... But this article is a bit sloppy... It appears to me looking at all the photographs and reading articles about Meghan is that her mother is African American and her father is Caucasian... But who cares — as long as no-one watches this sirupy spectacle designed to turn young girls into princesses instead of democratic libertarian. I can die in hope... There is nothing democratic about the Royals. I's time to piss them off. We wonder if Fifield will be as keen to monitor the salary rates at the NBN, another agency in his portfolio, because that agency makes the ABC look positively frugal. According to questions on notice from Senate estimates, 8% of NBN Co staff receive a salary of $200,000 or more, compared with just 2.9% of ABC execs. At NBN Co roughly 2% receive $300,000 or more while just 0.4% of staff at Aunty are on that salary. The ABC has 139 staff on more than $200,000 compared with the NBN’s 484, and 21 are on more than $300,000 compared with 120 at the NBN. We can’t wait for Fifield to show his even-handedness by hitting the airwaves to berate the NBN about efficiency. We did think it was unfortunate timing when the day after ABC news chief Gaven Morris said “There is no more fat to cut in ABC News. From this point on, we’re cutting into muscle”, ABC TV publicity announced some special arrangements for the “wedding of the year”. Jeremy Fernandez and Annabel Crabb will be on the ground in London, alongside ABC correspondents Lisa Millar and James Glenday to report live from the royal wedding. The ABC was quick to correct the story, saying the broadcaster had forked out for economy fares only. “In April 2011 more than 1.1 million Australians watched ABC TV’s coverage of the wedding of Prince William and Catherine Middleton,” the statement said. Our sources say there is no bad blood in the London bureau about the addition of Fernandez and Crabb, the former who landed feeling sick after sharing cattle class with the masses, while Seven’s Samantha Armytage and cohort enjoyed the luxury of business class. Perhaps the ABC should have saved some cash by staying home and covering it with a cardboard cutout like the rather ingenious Newcastle Herald. Hopefully there will be AFL (Australian Football) on some tele channel somewhere for free, with a few adverts for beer. Read from top. The ghosts of Eureka still haunt us. Terra Australis has come a long way since the rebellion of 1854, but that last crucial step to becoming a fully independent nation again, remains elusive. "Let’s not forget those guys raised arms against the Crown!" I am unclear if this exchange was what prompted the author of Eureka: The Unfinished Revolution to get involved with the Australian Republic Movement, but it illustrates what the movement is up against in the current climate of political upheaval and polarised debate. Not even the footy finals last weekend seem to have calmed things down as it would normally this time of year. We are a country in apparent disagreement about many political issues, headed for what may well be the most aggressive federal election fight since 1975. There is the possibility of a landslide swing — not unlike what the Coalition enjoyed then, except towards Labor this time around. Very careful to remain non-partisan, FitzSimons and ARM CEO Michael Cooney are currently doing a series of town hall meetings – in pubs, of course – around the country. I caught up with them in Perth last week. They are keen to make their cause a lot less divisive than what it was in the 1999 referendum when the monarchists won by almost 10%. They recognise that the challenge is to keep it simple, suggesting a two-stage process. Yes Pete... But talking to Abbott about the "Republic", his brain will make smelly noisy bubbles like farting in a bath tub. My apologies. Lately it seems I've caught Tourette Syndrome and this has overflowed into my writings... But the grandstanding idiots out there are to be blamed. They deserve to be "invectived" with the most vile of words — words that are even too weak to describe their cultivated idiocy. I say cultivated (not cultured) because I've know many idiots in my life, but most of them did not have access to the levers of society and only played with their little plastic (wood) toys while in adulthood. The commentator of the wedding ceremony voiced his admiration for the princess’s outfit, as she got out of the car. “What a beautiful dress! Absolutely fitting her.” As the words “dress” and “breasts” feature the same vowel and sound very much alike in English, the subtitles system apparently transcribed the word incorrectly, with the wrong word awkwardly popping up on screens. “What a beautiful breasts. Absolutely fitting her,” the subtitle read. Having noticed the fail, journalist Ollie Bayliss assumed the BBC’s subtitles machine had broken down or, alternatively, that BBC News staffers “are getting rather personal” about the princess.